Experience the joy of creative artistic expression. This 12 piece set has everything you need to experiment with color, texture, paint and patterns. 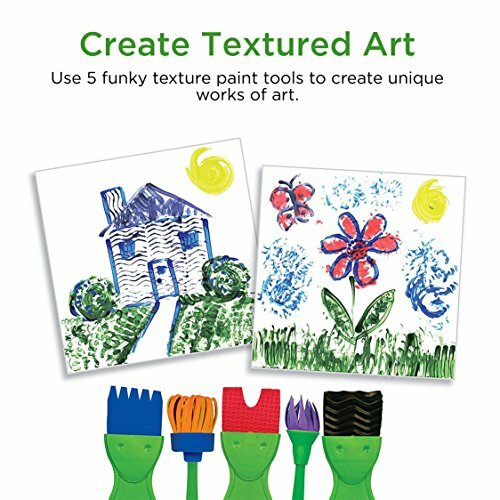 Create unique, wacky works of art with 5 funky texture paint brushes! These 5 sponge paint brushes are the perfect tools for a child to experiment with paint mixing, pattern creation and art fun. Use the texture brushes to dip, dab and twirl textured paint designs on 20 sheets of included paper. This complete paint set for kids features: 5 colors of washable tempera paint, 5 sponge paint texture tools, paint tray and 20 sheets of paper all in a reusable carrying case. The texture paint set for kids features washable tempera paints that are designed with young artists in mind. These paints feature washable opaque colors that dry to a matte, professional finish without cracking or peeling. 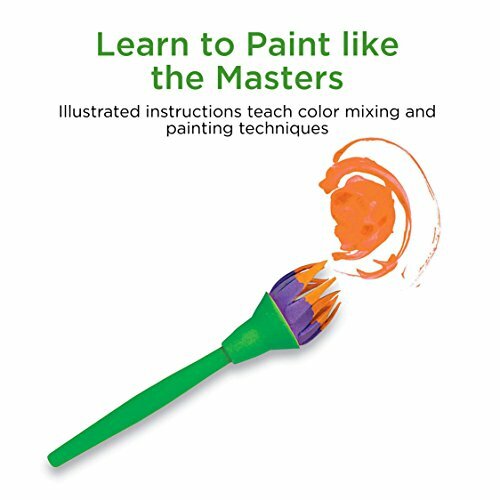 Your young artist will learn to paint like the masters with illustrated instructions that teach color mixing and texture painting techniques. See your child's artwork come to life in vivid color with Faber-Castell premium quality art materials, an art educator favorite for quality and ease of use. 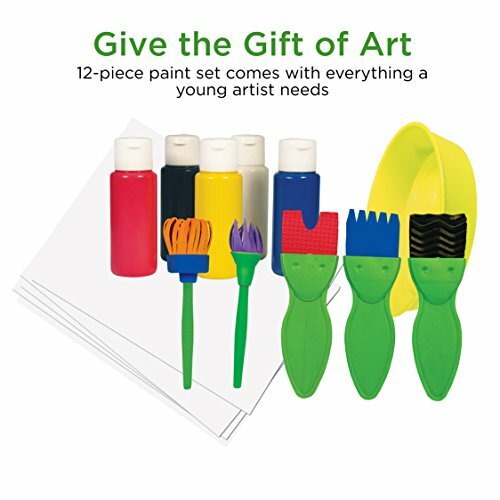 The Young Artist Sponge Texture Painting Set features non-toxic art materials and is recommended for ages 5+. CREATE TEXTURED ART - Designed for young artists, this introduction to art and painting set is perfect for experimenting with textured art! Use 5 funky texture sponge paint tools to create unique works of art. 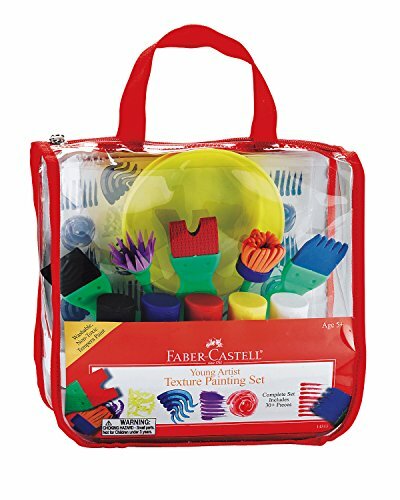 COMPLETE 12 PIECE PAINT SET - Comes with everything a young artist needs to experiment with color, texture, paint and patterns! 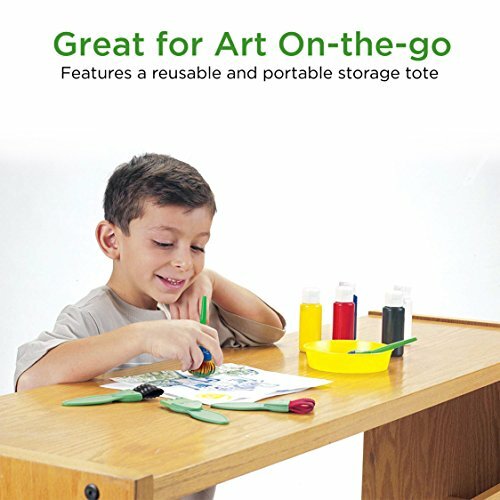 This complete art set includes: 5 colors of washable tempera paint, 5 sponge paint texture tools, paint tray and 20 sheets of paper all in a reusable carrying case. 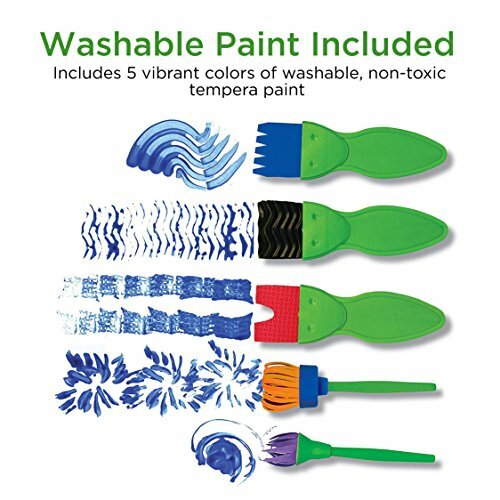 WASHABLE TEMPERA PAINT FOR KIDS - Perfect for young artists, these paints feature washable and non-toxic opaque colors that dry to a matte, professional finish without cracking or peeling. RECOMMENDED BY ART EDUCATORS - See your child's artwork come to life in vivid color with Faber-Castell premium quality art materials, an art educator favorite for quality and ease of use.